Outstanding, Curt. I hope to make up some Cane Arrows this winter. I have one that Dano made for me and I loved the way it flew when I finally tried it (I don't want anything to happen to it- course he says they are made to shoot and I'm sure it is) Maybe I'll get to make a stone head and put on it this winter too and use it as well as my own next year. 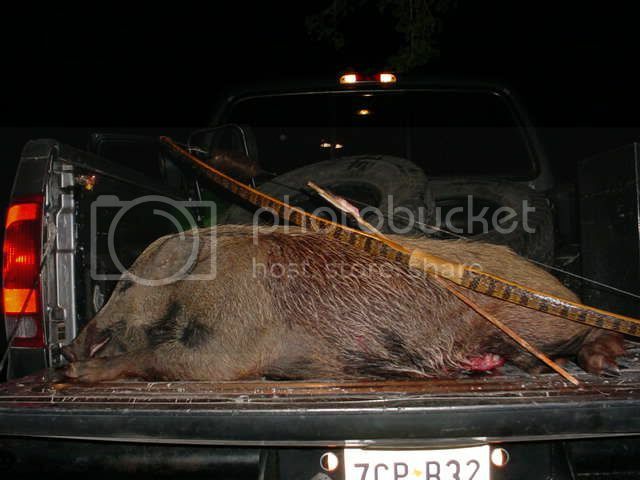 Great hog and super nice looking Bow and arrow! Way to go CK! Nice hog and nice looking bow too!